This project was all about finding a minimalistic design that would blend well with the environment in the car so the shape was inspired by a sun-visor. IT speaks of minimalism with the clean front face that yet holds quite a few buttons that need to be well separated so the product can promote what it is all about: safer driving when being on the phone. 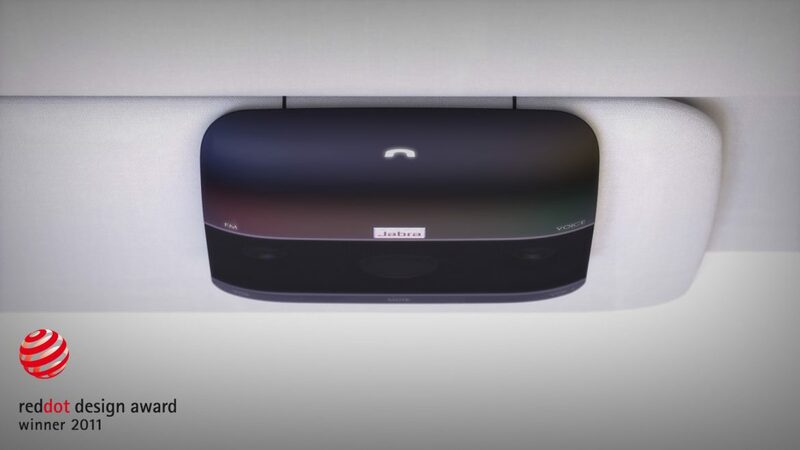 Another key aspect for designing this speakerphone was to promote its excellend audio capabilities, so the speaker grill was designed to have fabric like home hifi stationary speakers.